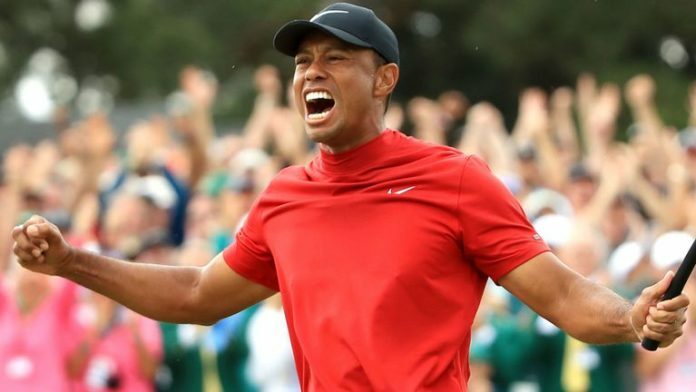 GOLF: Tiger Woods, Golfer from the USA has finally ended his won the masters. He made one of the greatest comebacks in sports’ history by winning the Masters (Reuters) at Augusta National after 11 years. The 43 years old Golfer marked his comeback by capturing the 5th masters’ title and his 15th major tournament victory after waiting for over a decade. It took 11 years for him to win a major Trophy as his last win came back in 2008 when he won the US Open. He won the title after defeating Dustin Johnson, Brooks Keopka and Xander Schauffele. He has now become the second oldest golfer after Jack Nicklaus, who won here in 1986 at the age of 46. The last of his four Augusta title came in 2005. He is also won his 5th Green Jacket which made him one less to equal the record of Jack Nicklaus. Tiger Woods got the attention of the president of USA, Donald Trump and he tweeted, ” What a fantastic life comeback for a really great guy!